Parental sacrifice shares some similarities with family capital, parental investment and parental involvement that it is related to the contributions of parents to their children’s welfare and development. The objective of this study is to obtain information about adolescents’ perception on the parental sacrifice. Researcher also aims to investigate the differences of perception on parental sacrifice among adolescents between gender as well as home location namely urban and rural. Researcher used descriptive research methodology and survey techniques to collect data from Economics foundation students from IIUM Gombak campus. The size of population for this study is 624 adolescents who were from Economics foundation students of IIUM. Researcher chose 124 samples as respondents. The samples for this study are taken from IIUM Foundation students of Economic department in Gombak campus. Data were collected from the survey respondents represented their perceptions regarding the parental sacrifice. The data obtained, were later analyzed using the SPSS (Statistical Package for the Social Science) software. In analyzing the data, researcher used descriptive statistics and an Independent t-test. The current research revealed that most of the students had moderate level of parental sacrifice. There was a statistically significant difference between male and female in their parental sacrifice where female. The result showed that there was no statistically significant difference between students who came from urban as well as rural area in their perception on parental sacrifice. Al-Attas, M. N. (1978). Islām and secularism. Muslim Youth Movement of Malaysia. Bradley, R. H., & Corwyn, R. F. (2006). The family environment. Casas, F. (2011). Subjective social indicators and child and adolescent well-being. Child Indicators Research, 4(4), 555-575. Chao, R. K., & Kaeochinda, K. F. (2010). Parental sacrifice and acceptance as distinct dimensions of parental support among Chinese and Filipino American adolescents. In Asian American parenting and parent-adolescent relationships (pp. 61-77). Springer New York. Chen, S. X., Bond, M. H., & Tang, D. (2007). Decomposing filial piety into filial attitudes and filial enactments. Asian Journal of Social Psychology, 10(4), 213-223. Clark, R. M. (2015). Family life and school achievement: Why poor black children succeed or fail. University of Chicago Press. Coleman, J. S. (1988). Social capital in the creation of human capital. 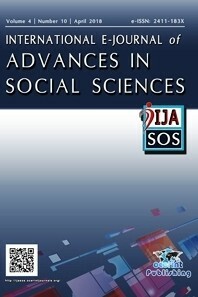 American journal of sociology, 94, S95-S120. Conger, R. D., & Donnellan, M. B. (2007). An interactionist perspective on the socioeconomic context of human development. Annu. Rev. Psychol., 58, 175-199. Dreby, J. (2012). The burden of deportation on children in Mexican immigrant families. Journal of Marriage and Family, 74(4), 829-845. Elstad, J. I., & Stefansen, K. (2014). Social variations in perceived parenting styles among Norwegian adolescents. Child indicators research, 7(3), 649-670. Epstein, J. L. (1992). School and Family Partnerships. Report No. 6. Gofen, A. (2009). Family capital: How first‐generation higher education students break the intergenerational cycle. Family Relations, 58(1), 104-120. Grolnick, W. S., Benjet, C., Kurowski, C. O., & Apostoleris, N. H. (1997). Predictors of parent involvement in children's schooling. Journal of educational psychology, 89(3), 538. Helm-Estabrooks, N., Bayles, K., Ramage, A., & Bryant, S. (1995). Relationship between cognitive performance and aphasia severity, age, and education: Females versus males. Brain and language, 51(1), 139-141. Jackson, S. A. (1996). Islamic law and the state: the constitutional jurisprudence of Shihāb al-Dīn al-Qarāfī (Vol. 1). Brill. Leung, S. A., Hou, Z. J., Gati, I., & Li, X. (2011). Effects of parental expectations and cultural-values orientation on career decision-making difficulties of Chinese University students. Journal of Vocational Behavior, 78(1), 11-20. Leung, L., & Lee, P. S. (2012). The influences of information literacy, internet addiction and parenting styles on internet risks. New Media & Society, 14(1), 117-136. Leung, J. T., & Shek, D. T. (2013). Parental beliefs and parental sacrifice of Chinese parents experiencing economic disadvantage in Hong Kong: Implications for social work. British journal of social work, 45(4), 1119-1136. Leung, J. T., & Shek, D. T. (2014). Parent–adolescent discrepancies in perceived parenting characteristics and adolescent developmental outcomes in poor Chinese families. Journal of child and family studies, 23(2), 200-213. Shek, D. T., Sun, R. C., Yu, L., Ma, C. M., Siu, A. M., Leung, H., & Law, M. Y. (2015). Service Leadership Education and Research at The Hong Kong Polytechnic University of Hong Kong (PolyU): An Overview. In Promoting Service Leadership Qualities in University Students (pp. 117-133). Springer Singapore. Shen, F. C., Liao, K. Y. H., Abraham, W. T., & Weng, C. Y. (2014). Parental pressure and support toward Asian Americans’ self-efficacy, outcome expectations, and interests in stereotypical occupations: Living up to parental expectations and internalized stereotyping as mediators. Journal of counseling psychology, 61(2), 241. Schlee, B. M., Mullis, A. K., & Shriner, M. (2009). Parents social and resource capital: Predictors of academic achievement during early childhood. Children and Youth Services Review, 31(2), 227-234. Van Horn, M. L., Bellis, J. M., & Snyder, S. W. (2001). Family resource scale-revised: Psychometrics and validation of a measure of family resources in a sample of low-income families. Journal of Psychoeducational Assessment, 19(1), 54-68.